Filter audio signals by waving your hands in the air with leapSound, an experiment built on Leap.js and the Web Audio API. 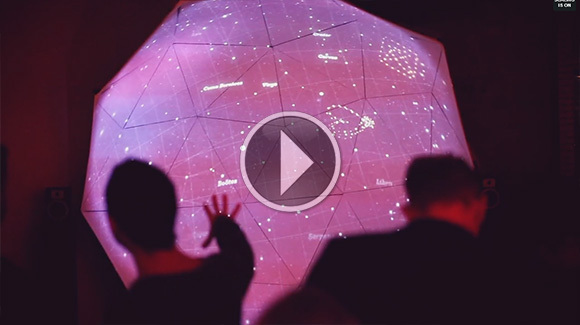 Created in WebGL at B-Reel’s London office, Star Canvas is an interactive guestbook in the form of a giant projected star chart. 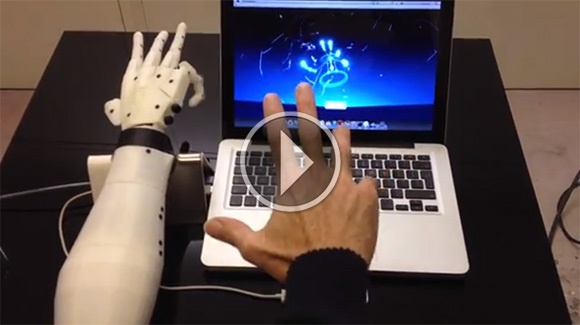 We’ve seen our fair share of robotic arms, but these four latest projects each bring something unique to the table – including a 3D-printed robot hand, augmented reality, an Arduino-driven arm with Unity interface, and 5 axes of movement. 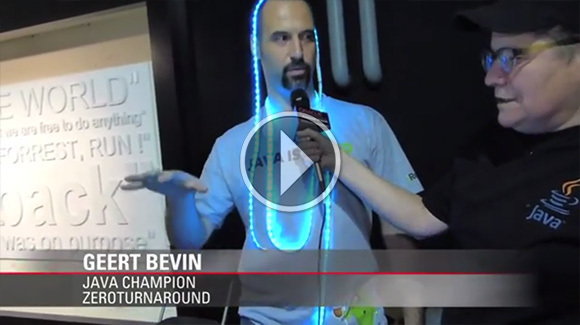 At this year’s Devoxx hackathon, Geert Bevin created a rainbow of colored lights using Java, Raspberry Pi, and the Leap Motion Controller. Personal Assisted Nerf Defense Armament (PANDA). 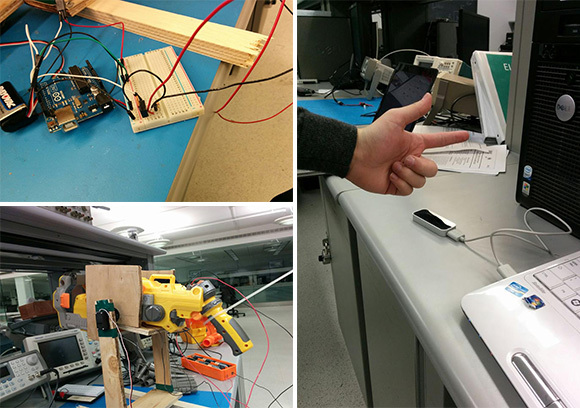 Created by YichengSun, this Leap Motion-enabled hack puts you in control of a modified dynamic targeting Nerf gun.